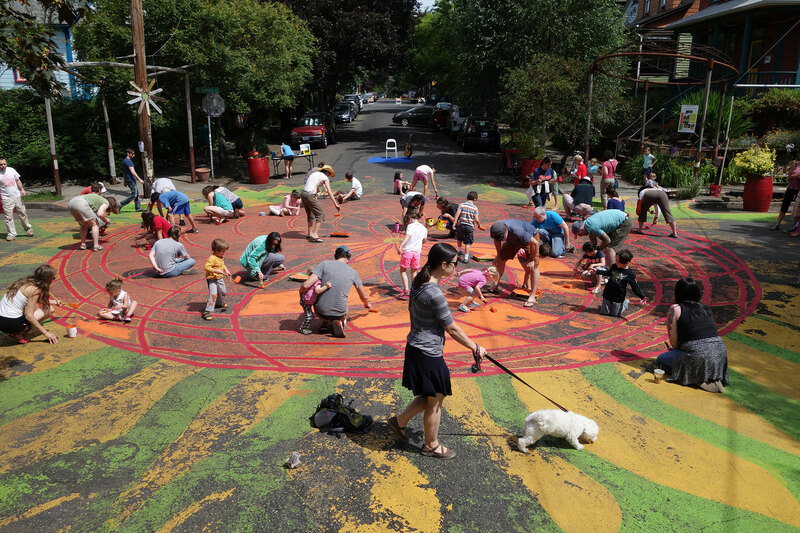 In Portland, Oregon, a community organization called City Repair Project transforms ordinary intersections into vibrant public spaces. 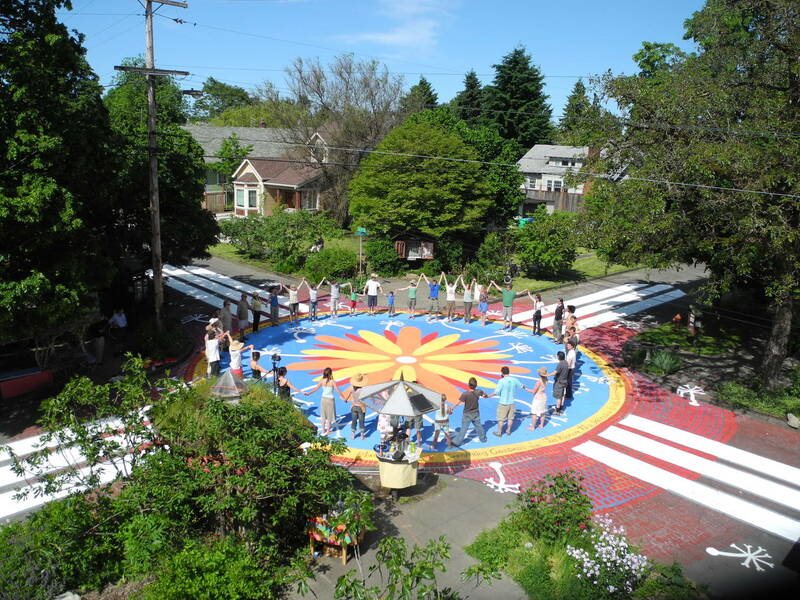 Working with communities and volunteers to paint giant murals onto intersections, they focus on turning car-centered roadways into lovable places. Two of the most impressive components of its Intersection Repair initiative are its quick results and cost effectiveness. 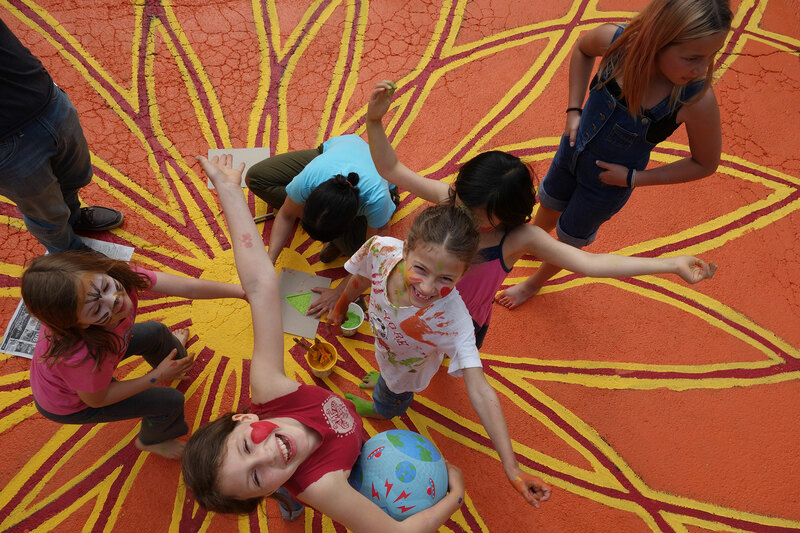 As a first step in this Placemaking process, community members are invited to paint together, which helps to connect people from of different ages and walks of life in a project of co-creation. 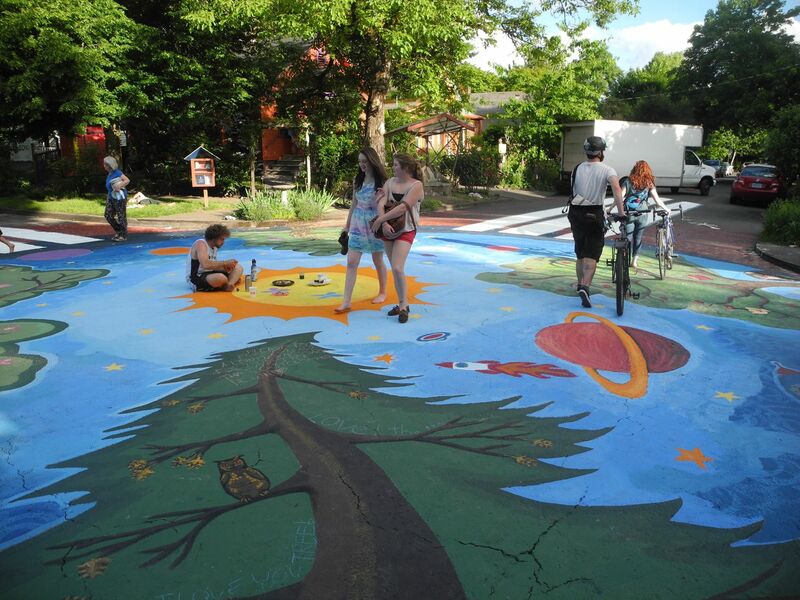 The resulting mural then turns the intersection into both a gathering place and a point of pride for the neighborhood, and it ultimately helps in calming traffic and making streets safer. 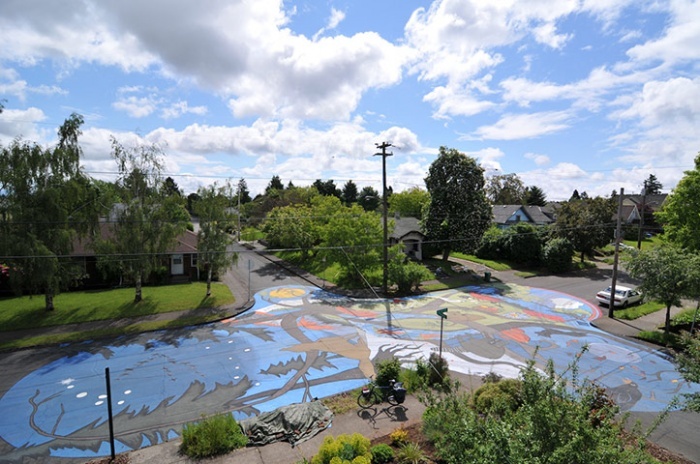 In 2011, a large-scale example of Intersection Repair took place at Holman and 8th in Portland, with a mural incorporating aspects of native wildlife as well as imagery from a favorite local activity--biking. 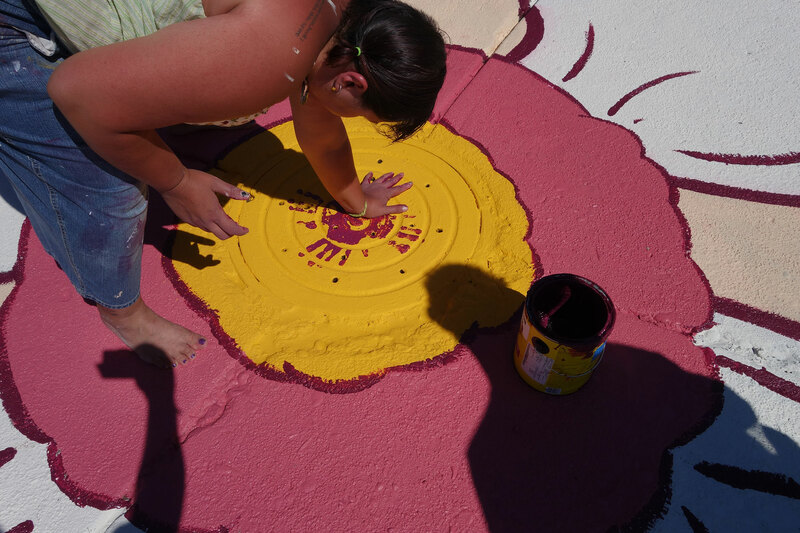 The weekend-long painting event attracted over 100 participants and helped forge strong ties among neighbors. 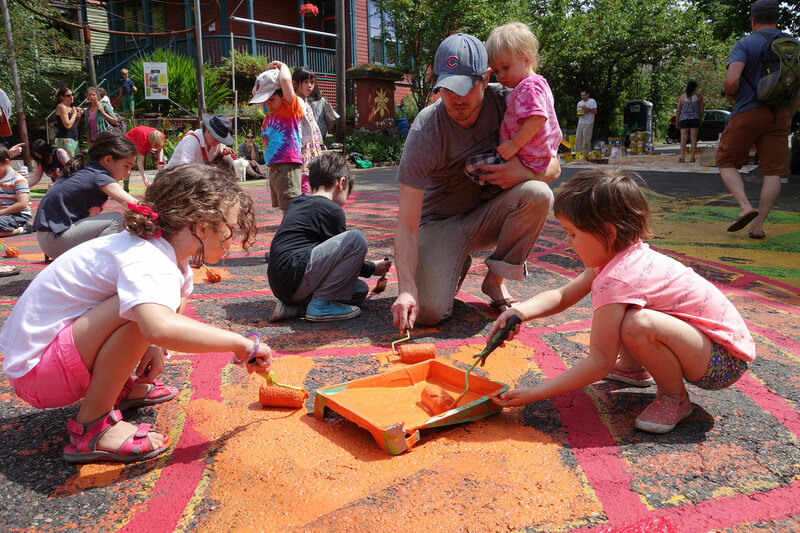 One of the primary objectives of the Intersection Repair initiative is to reclaim the street as a shared public space and as an important venue for local culture.